We’re not going to use ViewOverlay here. We’ll use Dialog instead. The overlay does not show on button click. What I did was let the overlay appear when the activity is loaded. First, create the XML file for the contents of that dialog overlay. 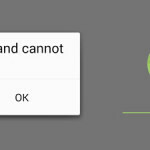 android:text="This is your dialog with transparent background." Then add the following code into your activity’s Java file. Please edit as needed in your project. You might need to add lines of “import” codes yourself for the classes I used. You might need to fill in missing @color and @dimen values yourself.